My chiropractor recommended Calm Spirit by Health Concerns for restless leg syndrome. For me Calm Spirit works really well. I recommended it to my brother who also has rls. Great product! Prescribed by my Naturopath and is a great help for my anxiety and insomnia. I have to take Calm Spirit of Health Concerns one at a time with a lot of water each time though. Easier to swallow that way. For most people‚ stress presents itself and takes a toll on the body on a daily basis. Work pressures‚ financial worries‚ family problems‚ and personal issues can all wear you down. Even positive events can create stress‚ leaving you restless‚ unable to sleep‚ and suffering from mood swings. If you’re unable to manage stress over the long term‚ it can have a detrimental impact on your immune system and lead to more serious health problems. You may have experienced stress-related symptoms—such as poor memory‚ constipation‚ and dizziness—without even realizing the cause. These symptoms can be treated in various ways‚ but achieving long-term relief means that you have to address the underlying issue. Although you may not be able to control stressors‚ you can manage how you react to them. A calm‚ relaxed‚ forward-looking perspective of acceptance and peace may help you cope successfully. There are many ways to attain this calmness of spirit: a healthy diet and exercise are important‚ as are activities that nurture your inner self. Creativity‚ self-reflection‚ time spent in nature‚ music‚ singing‚ meditation‚ and spirituality are just a few of the many ways you can build that all-important inner peace that calms spirit and soul. 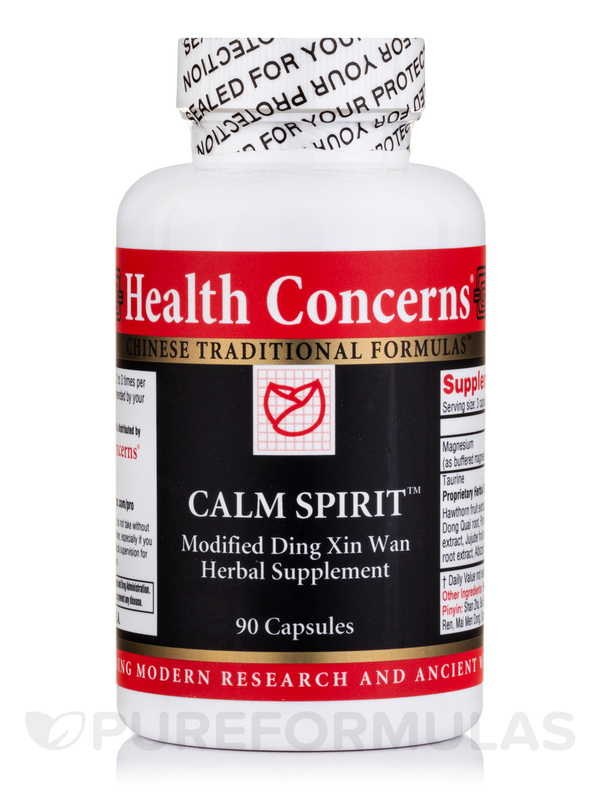 A natural supplement like Health Concerns’ Calm Spirit may also promote stress relief. 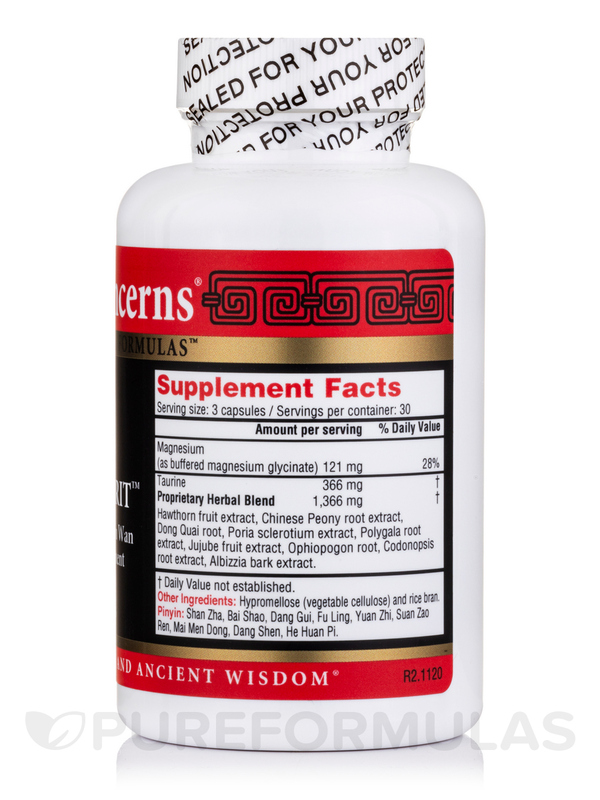 It provides a special formulation of herbs and natural substances that can calm and relax your inner self‚ alleviate emotions related to stress‚ nourish blood and heart yin‚ and help you sleep better. White Peony root (Bai Shao)‚ which may support liver health and lessen night sweats. Biota seed (Bai Zi Ren)‚ which moistens the intestines and promotes regular bowel movements. Amber resin (Hu P)‚ which calms the shen‚ reduces swelling‚ and promotes sleep. Ophiopogon (Mai Men Dong)‚ which is used for yin deficiency and to relieve dry mouth or trouble sleeping. Tang Kuei root (Dang Gui)‚ which is a healing herb that may reduce swelling and pain. 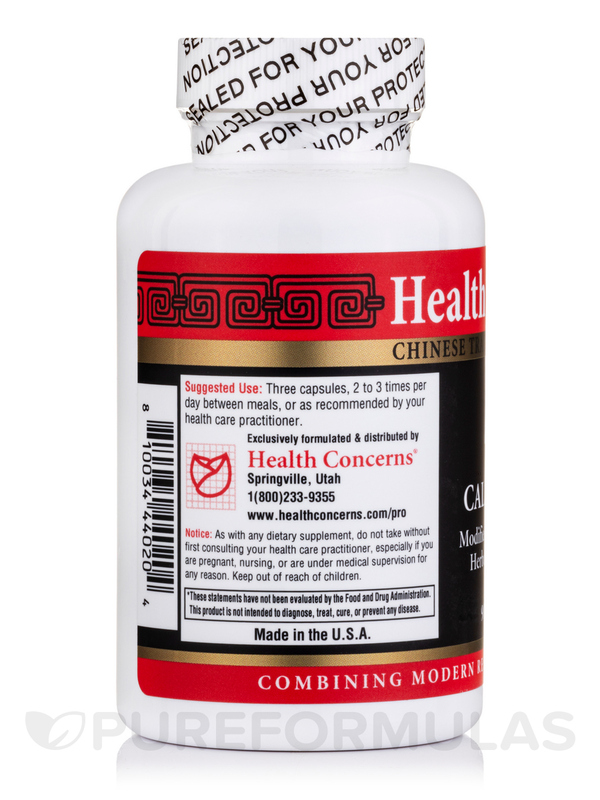 When taken at the recommended dosage‚ each 90-tablet bottle of Calm Spirit by Health Concerns should last about two or three months. I would recommend. Everyone is different and potency may have different impact on each indivivual. Have to gauge when you take it and how much you take since it made me sleepy. Calm Spirit really works for my restless leg syndrome. I am pleased with results of Calm Spirit by Health Concerns. After taking the first bottle, it calmed my anxiety.